These FREE Farmhouse Christmas Art Printables are perfect for your holiday decor and gallery walls. 14 free classic Christmas printables. I have seen so many cute farmhouse Christmas signs and decor on Pinterest this year, but I don’t have the room or the budget for them all. 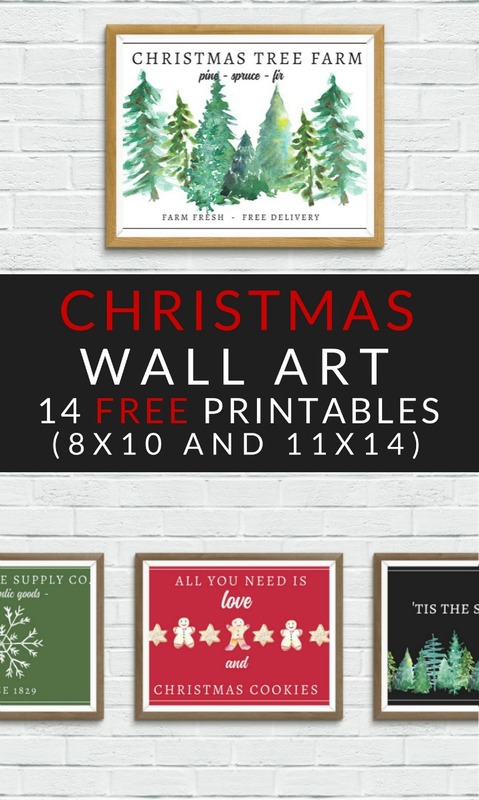 So I hopped on my computer and designed 14 classic Christmas art printables to use in gallery walls or other small decor. I think they will go perfectly with my classic Christmas decorations (Bonus: it was SUPER budget-friendly from the Dollar Store) that I used last year. If you want to use these prints in your Christmas decorating this year, just fill out the form below to have the digital file sent straight to your email inbox. 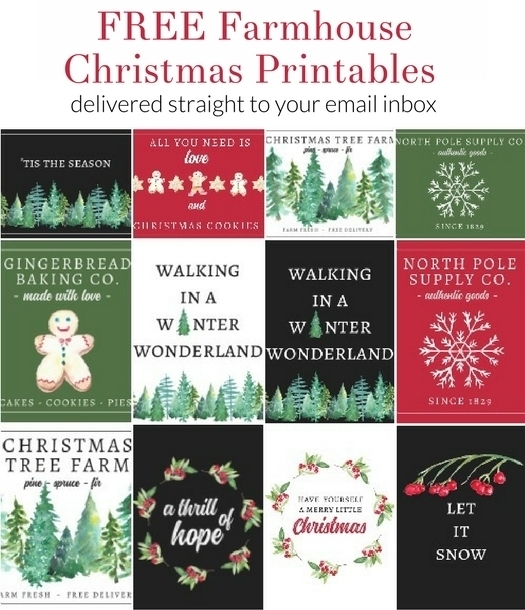 I hope you love the printables! This is great!!! I LOVE THIS BLOG!!!!!!! !